Here’s a potential jolt to urbanites: Some big cities, particularly those located in hot and humid environments, actually birth more thunderstorms than surrounding rural areas. The conclusion is one of several fascinating findings from the first long-term, systematic assessment of the influence of urban land use on thunderstorm development. 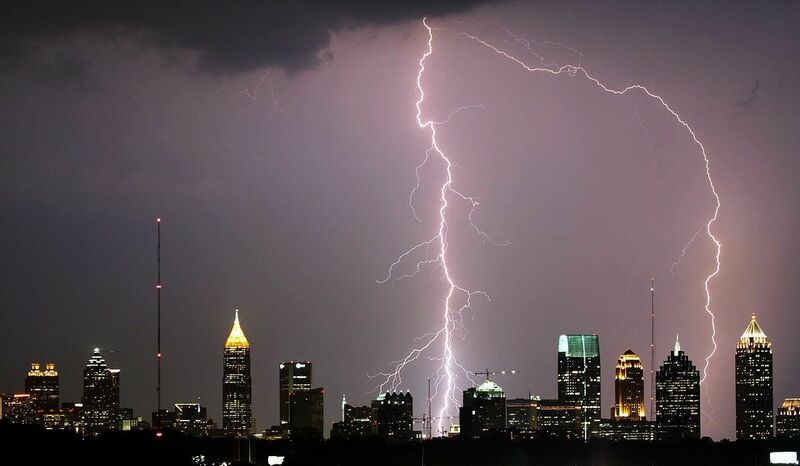 The researchers used an automated technique and radar data to pinpoint the locations of thunderstorm initiations, or births, over 17 years (1997–2013) in a southeast U.S. region that included Atlanta. Nearly 26,000 initiation points were detected during 85 warm-season months, with comparisons made between the Atlanta metropolitan region and surrounding rural areas. 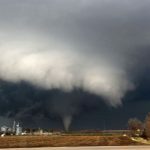 “Our research demonstrates that urbanization has led to more thunderstorm initiation events in Atlanta than would have occurred over natural vegetation,” says Alex Haberlie, a Northern Illinois University Ph.D. student in geography and lead author of the study published in the Quarterly Journal of the Royal Meteorological Society. The study’s findings caught the attention of a number of large media outlets, including Wired, The Daily Mail, The Weather Channel and Yahoo! News. The study identified thunderstorm formation risk as being greatest in Atlanta and its suburbs in the late afternoon and early evening periods of July and August. Haberlie says the increased thunderstorm risks illustrate human-induced climate change at the local scale. The findings would likely hold up in similar cities that experience warm and humid weather, including Nashville and Birmingham, Haberlie says. But heat and humidity are not the only factors to take into consideration. In Chicago, for example, the city’s effect on initiating storms could be muted by winds produced by Lake Michigan, which plays a large role in its localized weather. The new study builds upon decades of previous research. Since the 1960s, a number of studies have examined the relationship between increased precipitation and thunderstorm activity over and downwind of large cities. 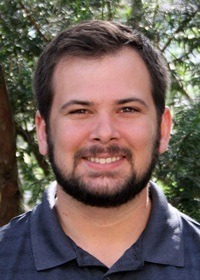 In 2012, a research team that included NIU’s Walker Ashley, a professor of meteorology in the geography department, found that in comparison to rural areas, large cities in the Southeast had a much higher risk of experiencing heavy rainfalls associated with summertime thunderstorms. 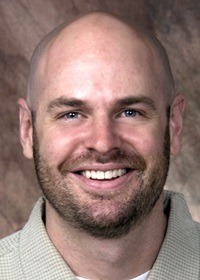 Haberlie’s research, which began as a master’s degree thesis, took the work a step further asking: Is the city enhancing the initiation of thunderstorms? “All thunderstorms have lifecycles—there are births, lives and deaths, but the birthing process is not well understood,” says Ashley, a co-author on the research article along with Haberlie and NIU geography professor Thomas Pingel. “This study presents the first evidence that urban areas birth or initiate thunderstorms more often than the surrounding rural areas on a climatological time scale,” Ashley says. The researchers say cities contribute to a number of processes that might lead to more thunderstorm births or storm enhancement. Ashley says the contributions of the new research to the fields of meteorology and geographic information science are also particularly noteworthy. Previous studies that examined thunderstorm initiation were limited by the requirement that researchers manually sift through radar images to identify qualifying events. At five-minute temporal resolutions, years of radar data can become unmanageable and tedious to analyze. To address the issue, Haberlie developed a repeatable and scalable approach that automatically extracts particular meteorological events—in this case thunderstorm births— from sequences of weather radar images. “The resulting framework will allow future studies to examine many more events and enjoy total control over the detection procedure, all while eliminating the bias inherent when subjectively identifying qualifying cases,” Ashley says. NIU is one of only two universities in Illinois offering a Ph.D. in geography and has one of the largest undergraduate-only meteorology programs in North America. At both undergraduate and graduate levels, students often conduct research with their professors.